Incepted in 1985, we Harkesh Rubber Industries are one of the leading manufacturers and exporters of wide range of durable rubber components and accessories. Our mentor Mr. Darshan Shah has set a sound base for the organization in the global market. With his vision to serve the clients as specifically as per their requirements, we have achieved the heights of excellence and customer satisfaction. This approach has enabled us in being one of the most trusted and successful organizations. We emphasize on quality and have always linked ourselves with the leading vendors in the country, for purchasing raw materials. In order to meet the demands of our clients we have equipped ourselves with latest technologies and increased our production. 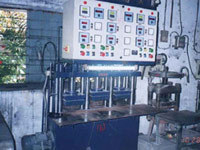 We ensure customer satisfaction with timely delivery of our rubber products along with a continual development program that is oriented towards client’s satisfaction. "We are looking queries from United States, Brazil, Japan etc." “We envision emerging as the most trusted and distinguished companies in the industry by offering finest quality rubber products with in scheduled time frame. Our objective is to ensure total customer satisfaction by improving manufacturing process and upgrading infrastructural set up and providing superior quality at all times ”. We cater to the wide and growing demands of diverse industries with our range of extruded rubber product and components. Owing to our well-equipped infrastructural set, we are able to meet with the requirements of these industries within a stipulated time frame. Owing to the comprehensive quality tests, we promise to deliver only the quality products to our clients. Our this commitment has enabled us in being ahead of our competitors. We have earned immense goodwill and build up trust in our widespread clientele both in the domestic as well as the international marketplace. We support our clients in Europe, U S countries with the effective rubber products and efficient services to meet their specific requirements. We strive to retain our existing customers by maintaining long lasting and beneficial business relationship with them. We nurture a team of knowledgeable workforce who has in-depth experience in production procedure and is an expert in handling sophisticated machinery installed at our end. 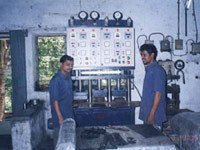 We have a qualified team of engineers and technicians who are well versed with rubber technologies. Our team keeps a close look on the latest market trends by conducting market surveys to get acquainted with the rubber products highly in demand. We arrange for regular training sessions for our workforce. This keeps our team abreast with the latest developments in the industry and gives them opportunity to express their ideas. They are trained to handle and operate our sophisticated machines. Our qualified team including rubber technologists, engineers, sales personnel and quality control engineers work in synchrony to achieve the goal of offering quality rubber components. 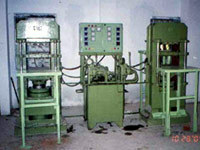 Our quality inspectors are armed with latest computerized testing machines to carry out all tests.